The recommendations were expected to be released Dec. 7 at the Commission on Narcotic Drugs (CND) 61st reconvened session in Vienna. 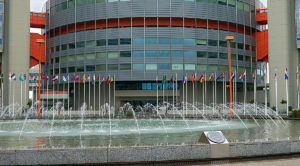 Recommendations about several other substances were included in the WHO presentation, but the organization’s spokesperson said they needed more time to complete the evaluation process of its review of cannabis. No new date was provided for the release. Member states are expected to vote on the issue in March 2019. The room was packed with representatives from governments from all around the world, nongovernmental representatives and the media. Many received the “nonannouncement” with surprise and disappointment on what was expected to be a historic day for international cannabis policy reform. Kenzi Riboulet-Zemouli, head of research at FAAAT, an international think tank focused on international drug reform policy, expressed disappointment at the lack of recommendations. “Countries need time to understand and endorse these recommendations before the final (simple majority) vote to accept or reject them, next March,” Riboulet-Zemouli said in a news release on behalf of FAAAT. Bruno Javier Faraone Machado, permanent representative of Uruguay to the United Nations (Vienna), told Marijuana Business Daily that the result is concerning. “The fact that the recommendations weren’t made today as expected could mean that when the time comes to decide what to do with the recommendations in March, it will be easier for certain countries to argue that they didn’t have enough time to review the inputs to have a position, possibly delaying the process once again,” he said. While also disappointed, Jonathan Zaid, director of advocacy and corporate social responsibility of Canada-based Aurora Cannabis, hopes the move leads to a more positive outcome. “Although unexpected, we are hopeful this delay will provide the World Health Organization time to fulsomely consider the evidence and recommend cannabis be rescheduled accordingly,” he told MJBizDaily. Does anyone smell a rat? For example, have any WHO representative’s relatives been kidnapped lately? Kick the ball down the road and put off the inevitable. What are you geezers afraid of ? I smell the money of the industries that need cannabis prohibition to continue protecting their markets. You are so right. In the U K. We know Mr Phillip May, works for Captita who just happen to have the biggest single share holder and Paul Kenyon MP Victoria Adkin’s husband, CO of British Sugar got £30 million for greenhouse conversions. 2019 will allow GW to take off in Europe when their Drugs. Agency give the go ahead for Epidiolex. Big Pharmas are so worried they getting into synthetic cannabis drugs without the other chemicals that give that all important Entourage Effect! I declare I do have a financial interest, I own £2000 of GW stock how many of U.K. government admit their interests ? Sounds like the prohibition lobby is fighting a desperate rear-guard action to stop reforms. It is time these organized peer groups put their observations on the table for all countries. Much is known, far more than any platform cares to digress. Seriously we are talking hundreds of years of determining factors. Give it up! As a practicing pharmacist I find it extremely disappointing! You are always under the thumb and control of big Pharma and you either fail to see or wish not to see the obvious. The safety and efficacy of CBD has been clearly demonstrated over thousands of years. CBD does not treat symptoms. It treats the source of the medical issue thereby keeping the human physiology in balance/homeostasis. No recorded deaths and know recorded overdoses. It’s time that you put your big boy pants on and did what’s right for the healthcare of the world.